Approximately 1 in 8 women will battle breast cancer during their lifetimes. October is Breast Cancer Awareness month, and through “pink” efforts, much attention is garnered for the awareness, prevention and cure of this deadly disease. 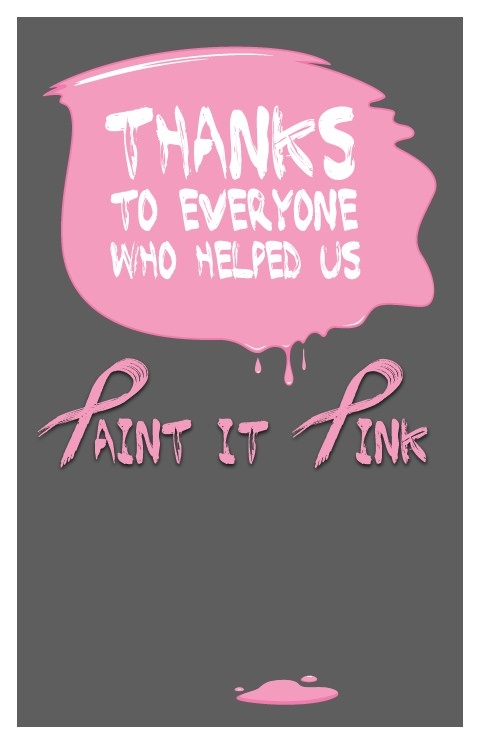 Help contribute to these efforts by hosting a Paint it Pink event! For a small donation, students will create their own signs to be displayed in the bookstore, with a goal of raising both money and awareness for a worthy cause. As with any event, create a plan for success. Consider each of the following aspects to help structure your promotion. Set a budget: Decide how much money will be spent on supplies and/or donations. Select a donation structure: There are two options here; you can offer students the opportunity to design a poster for free and have your store donate $1 for every poster created, or you can ask students to donate $1 to create a poster and send that money on to a charitable organization. If your store chooses to donate the money, then set a maximum limit, so that you don’t exceed your budget. Determine the organization: Choose where you wish to donate the money. A cancer prevention or research organization is a great option. Two nationally recognized organizations are the American Cancer Society and the Susan G. Komen for the Cure, but local organizations in your community or on campus would also make great beneficiaries. Outline rules: Be clear about what types of messages are permitted on the signs that students create. Also, determine the time frame they have to make them, which could be a set day or time during your store’s business hours. Select a station: Find a place where students can create their posters. Make sure the station is out of the way of heavy traffic, but still visible to students walking through the store. Decide where to display: We suggest hanging the finished posters in your store in a highly visible area such as your front window, but, with the necessary permission, you could also display them in other buildings around campus to generate more publicity. Organize materials students will need to create their signs. Some basic supplies needed for the poster station are: construction paper, paint and/or markers, glitter and other craft materials. 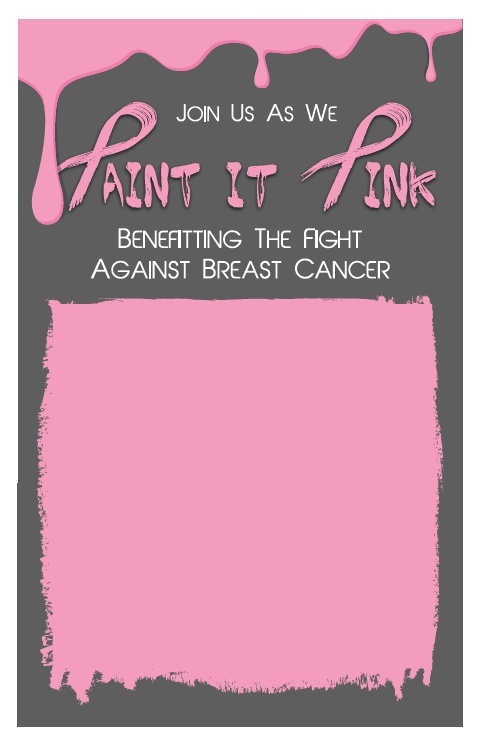 Remember, you want to “paint it pink,” so grab an extra package of pink markers and paper to ensure you have plenty. Get the word out as much as possible! Utilize a variety of communication channels, such as print and social media. If you have access to student emails, send a message directly to them announcing the event details and the organization this fundraising event will benefit. We’ve made it easy; use our marketing materials below to capture students’ attention and promote your cause! Choose from ready-made templates for a poster, email, and Facebook Cover Photo, so that you can spread your message through a variety of channels! On the day of the event, set up the station and select one or two staff members to assist with hanging the signs up in the store or your designated location. 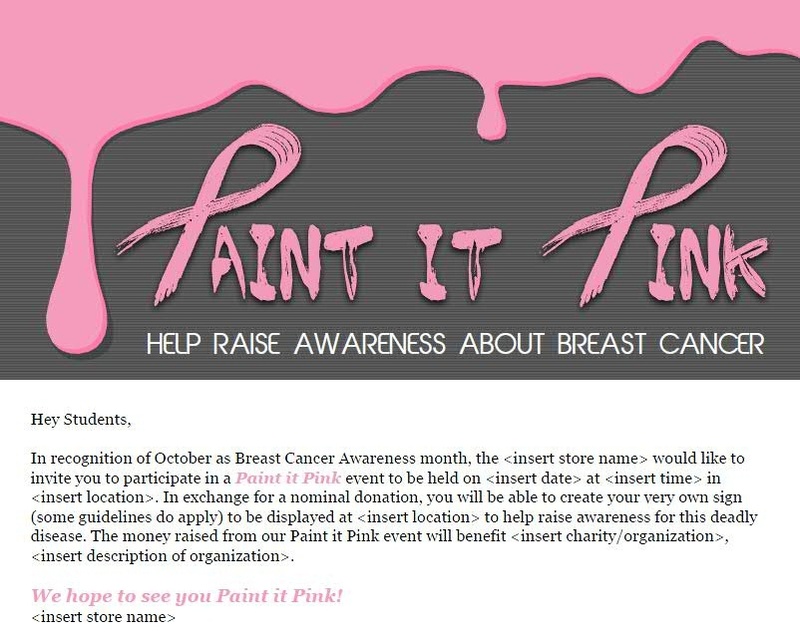 Remember this is an interactive way for students and your store to help out a good cause and to paint your store pink so have fun with it! 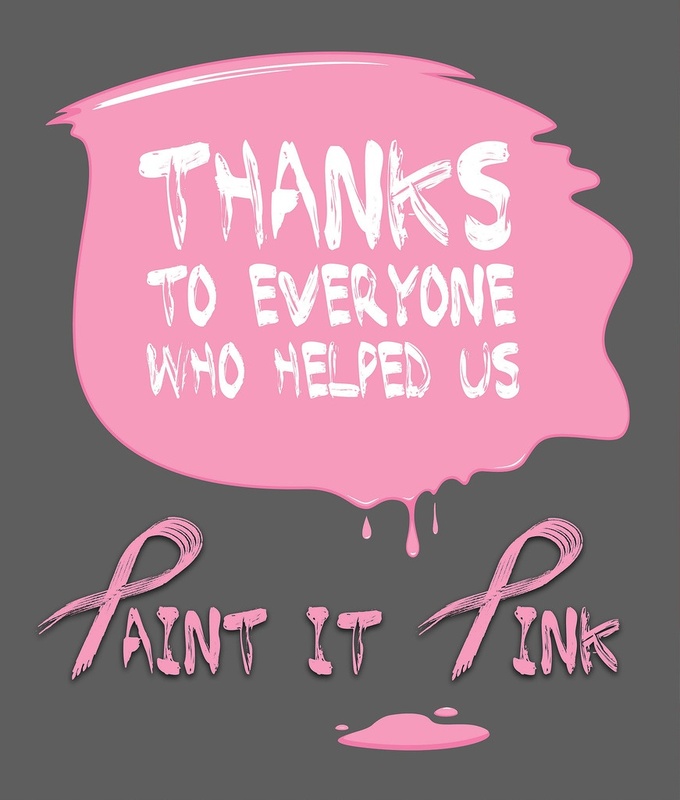 Thank all those who participated in the Paint it Pink event on your website and social media pages, as well as with in-store signs. Use our Thank You Poster template for a simple start; there’s both a print and web version available. Notify local media of your store’s partnership with students to raise money for charity, detailing how much was ultimately donated to spread positive PR around campus and beyond! 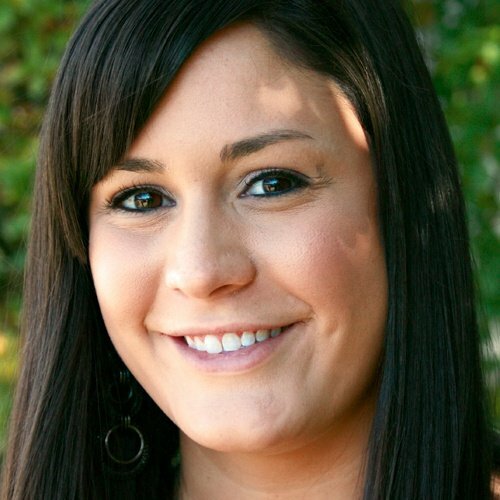 Stephanie was our former MBS Marketing Communications Manager. She helped Foreword Online evolve from simple reposts from other industry-related sites, to original content sourced directly from our college stores. Although she no longer writes for Foreword Online, it still holds a special place in her heart.